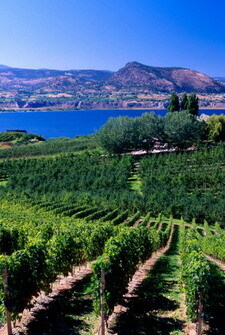 Plan your visits: Visit wineries clustered together, such as the ones in Niagara-on-the-Lake area. Visit no more than three to five a day: two in the morning, one for lunch and one or two in the afternoon. That leaves you time to taste and talk. (I know, I crammed in more visits, but a drink writer in wine country is like those stunt drivers in car commercialsâ€”you’re not really supposed to do those tricks in real life.) Go to both small and large places to get a sense of the range of wines produced. Take a cooler: Pack a picnic lunch in a cooler, and then you’ll have a place to store the wines that you buy, so they don’t cook in the trunk. But most wineries will ship anywhere in the province, and many across the countryâ€”so think twice before lugging those bottles around: a case of 12 weighs 37 pounds. If you do buy a bottle, get one that’s only available at the wineryâ€”and ask the vintner to sign it. Drive a comfy car: A car with reclining seats and clouded glass is ideal for those between-winery naps in parking lots. Even better, rent a stretch limo. Avoid strong smells: Perfume, cologne and aftershave all interfere with the wine aromas, so skip them when you’re going to taste. Go early: Tasting rooms are much less crowded in the mornings before lunch, and less packed on weekdays than weekends. And even though cabernet at 10 a.m. may not sound appealing, your palate is at its best in the morning. Call ahead: If your favourite winery isn’t open to the public, call to ask if you can drop by anyway. Many will welcome fans by appointment. Avoid tour buses: If you see a bus in the winery parking lot, come back later. Not that there’s anything wrong with taking a tour of wine country by bus: it’s just that the tasting room will be crowded if you go in at that time. Taste and savour: Tasting several wines is not only fun, it’s instructive: you can compare different styles when you try them side by side. (Of course, you can do this at home, but it’s expensive to open four or more bottles at once.) Begin with light, dry white wines; progress to full-bodied reds; and finally, try sweet wines. Experiment: Try wines you’ve never tasted before, widen your range, surprise yourself. Ask the tasting room staff which wine the vintner is best known for. Take a notebook: It doesn’t make you a wine nerd to want to remember the wines you’ve tasted. Ask questions: Unless they’re swamped with visitors, most tasting room personnel love to chat about their wines and the region. 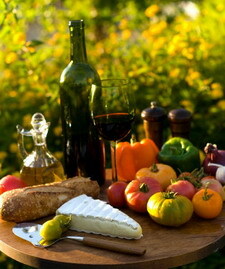 Start by asking how their wine differs from that of nearby wineries, and which foods it would go well with. Eat: be sure to have breakfast before you go, and take a snack for on the roadâ€”food helps to absorb the alcohol. Eating bland crackers between sips will also keep your palate from getting overloaded. Avoid eating garlic and spicy food at lunch; wait until the tasting is over. Drink water: One effect of even just tasting alcohol is that you get dehydrated. Pack several bottles of water in the car, and take a swig often. This article was provided by Natalie MacLean.Â You may subscribe to her e-mails at invite friends. There are now 103,926 wine and food lovers who subscribe to the newsletter. The more, the merrier!